I thought all you did was rock up and plonk things on walls. 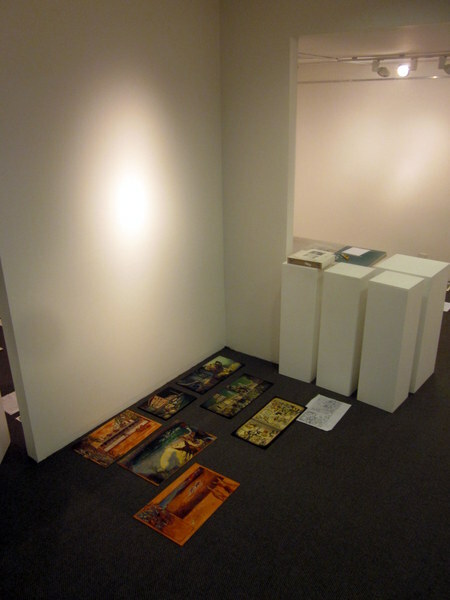 Turns out that hanging an exhibition is an art form in itself!! 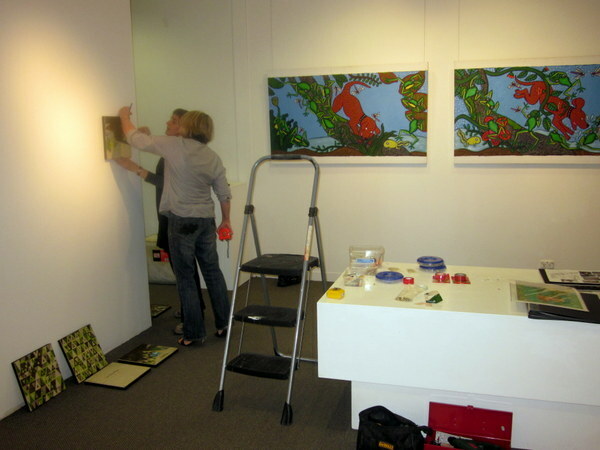 It took the team at the Mundaring Arts Centre nearly three days to hang this year’s heARTlines Children’s Literature and Book Illustration Festival. THANK YOU to everyone involved in this year’s exhibition: to the authors, illustrators, the team at the Mundaring Arts Centre and to our sponsors: the Department of Culture and the Arts, the Shire of Mundaring, the WA branch of the Children’s Book Council of Australia, HealthWay and the Mundaring Branch of the Bank of Bendigo. We love you!!! Tags: children's illustration, heARTlines exhibition, heARTlines literature festival | Permalink.